With the rapid increase in home buyer demand in Logan Square, it is important to work with a Logan Square real estate agent that knows the housing inventory and has a sharp pulse on all of the recent real estate developments in the Logan Square neighborhood so you can make the most money possible on the sale of your home. Choose Better Logan Square Real Estate Agents. Contact Us Today! Selling a home is a better experience with The West Town Team. We provide the best service in residential real estate for Chicago, including the Logan Square area. The West Town Team has helped many Logan Square homeowners to sell homes. With 15 years of experience, you can count on us for a quick home sale. Selling your condo or selling your townhome can be easy and profitable with The West Town Team. We specialize selling homes in Chicago’s West Town and Logan Square areas, an attractive market where you can sell a home quickly. If you’ve thought, ‘I want to sell my house,’ but you don’t know where to start, visit The West Town Team website for step-by-step information on selling a home. Complete our home seller questionnaire and we’ll contact you about quickly selling your home in Logan Square. As your realtors, we offer professional service in every aspect of selling a home, from creating stunning marketing materials that help with a quick home sale to hosting open houses. Sell your house fast with The West Town Team. Go to our website to learn more about our services and our outstanding team, or call us at (312) 767-7504. 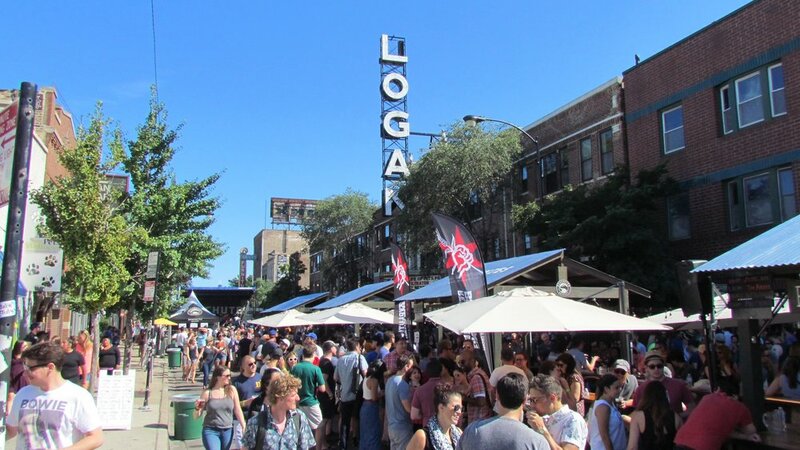 Logan Square is an official Chicago community area. It is only a few miles from Chicago’s downtown and also located just right next to the West Town community. Logan Square is also home to a public square and the Logan Square historical neighborhood that surrounds the square. Logan Square is a popular area due to outstanding restaurants and nightlife, as well as historical boulevards and bungalow-style homes. Condos, townhouses and houses in Logan Square are selling faster than in any other neighborhood in the City of Chicago. The West Town Team specializes in selling homes in Logan Square. Are you selling your condo, or selling your townhome in Logan Square? If so, consider The West Town Team to sell a house fast. Homes in Logan Square are highly desirable, which means quick home sales. In fact, homes in West Town and Logan Square are selling, on average, more than 30 days faster than other areas of Chicago. The West Town Team is the most qualified residential real estate team to sell a home in Logan Square. In 2017, we were awarded the Chicago Association of Realtors Top Producing Team Award! So when you’re thinking, ‘it’s time to sell my home,’ give us a call! We are dedicated to helping you sell a home quickly. Are you wondering how to sell a house for cash? Call The West Town Team! We’re happy to answer any of your questions about selling a home. Whether you want to sell a home as is, or just need to know how to get started with listing a house for sale, our knowledgeable and friendly team is ready to help. Visit The West Town Team online and complete our home seller questionnaire to initiate the process of selling a home fast. Residents of the Logan Square neighborhood and the entire Logan Square community can expect extraordinary service and professional advice on residential real estate from The West Town Team. When you’re ready to list a house for sale and are hoping for a quick home sale in Logan Square, The West Town Team is a premier real estate team with more than 15 years of experience in how to sell a home quickly. Plus, we specialize in selling homes in Chicago’s Logan Square community so if you’re selling your condo or selling your townhome in Logan Square, The West Town Team is an excellent choice for a realtor. You’ll be working with a top real estate company, Keller Williams Realty, to sell your home in both an efficient and profitable way. To sell your home fast in Logan Square, call us at (312) 767-7504 today! Questions on Selling a Home in Logan Square? Contact Us!